Walking to SD Negeri Roja 6 is a bit confusing because for its remote location, the school is not easily seen from the road. 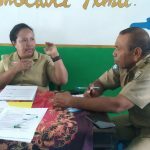 However, this cannot resist the passion of the teachers to teach their students, who mostly come from the neighbourhood. 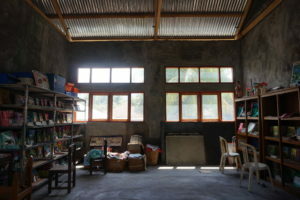 Despite its limited school area, the school has enough supporting facilities, including the library building. 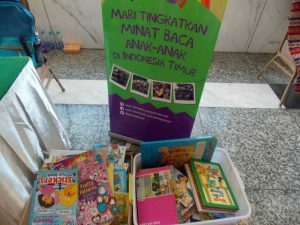 Fortunately, when Taman Bacaan Pelangi team observed the library last August, the library apparently lacks some facilities. There was no coating on its wall neither was ceiling. And there was none to blame upon this situation. The principal said that the hand-over of this building was done under such building condition, and no renovation was ever managed until that day. 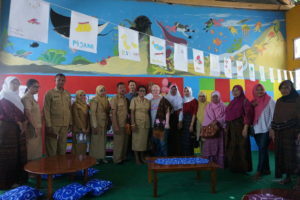 With bold commitment shown by the principal and teachers of SDN Roja 6, Taman Bacaan Pelangi later chose the school as one of the beneficiaries of this program, whose library is to be developed. After a series of library setup process which involves not only librarian but also teachers and students, finally on Monday, February 12, 2018, SDN Roja 6 officially became a part of Taman Bacaan Pelangi family, to be the 69th library established by Taman Bacaan Pelangi. 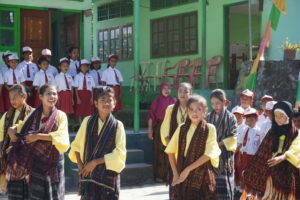 Beautiful dancers were lining up since early in the morning to greet the guest from Taman Bacaan Pelangi who was present at the school to inaugurate the library on that day. 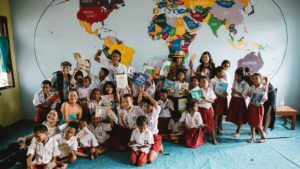 Guests were directed to a room filled with guests, including parents of SDN Roja 6’s students to witness the inauguration of child-friendly library at SDN Roja 6. 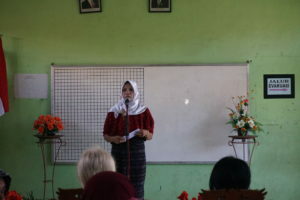 Students also got the chance to perform a local song before the guests. Unfortunately, one of the performers from Grade 3 did not perform as planned because she was not feeling well right before the scheduled time. After a series of event at the Grade 5 and Grade 6 rooms, the guests were brought to the library building. 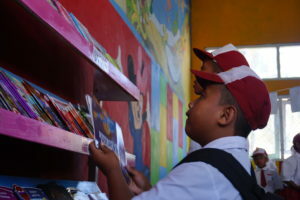 Everyone has the chance to enter and observe the newly inaugurated library, after approximately seven months of works performed by the people at the school. By the way, the one student from Grade 3 who was scheduled to read out a poem felt better during a session in the library. Therefore, she finally read a poem before the guests at the library. We were all impressed! Beautiful! For your information, in Ende, guests are not allowed to go home during an event before dancing together. Therefore, before continuing to the next school for another inauguration, all guests gathered and formed a circle. The dance is called Gawi, a dance with repetitive movement allowing anyone to dance along, with some local music played. 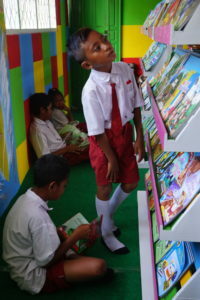 Once more, Taman Bacaan Pelangi congratulates the students of SDN Roja 6 for their new library. 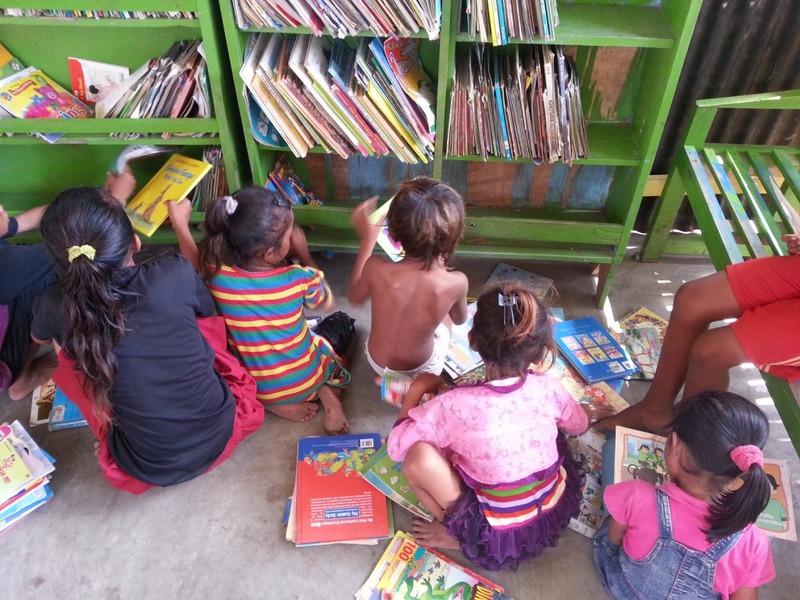 Also, congratulations for finally achieving the establishment of a child-friendly library to the teachers and community at SDN Roja 6. 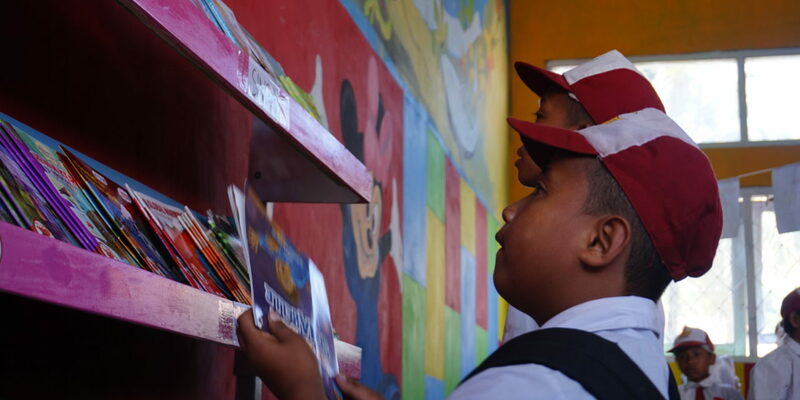 The real work actually starts after today, so let’s work together to maintain the child-friendly library to develop the habit of reading among children in Ende, especially in SDN Roja 6. Thank You, The Body Shop!